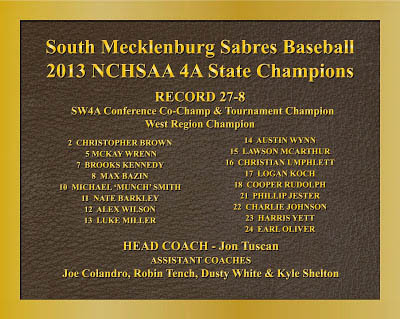 South Mecklenburg High School became the first high school in Mecklenburg County to win its second NCHSAA State Championship with their run in 2013. 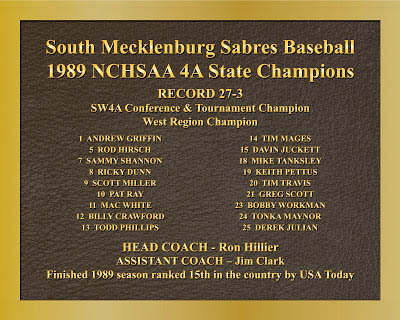 This championship win added to the 1989 State Championship the Sabres achieved. 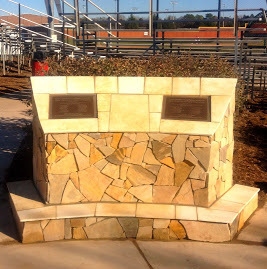 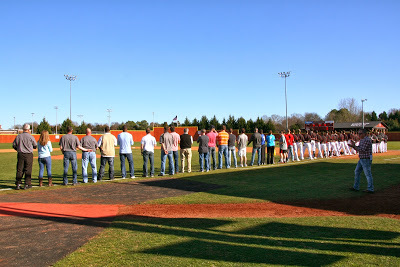 March 8, 2014 - A State Championship monument was unveiled recognizing the 1989 and 2013 teams for their achievement. 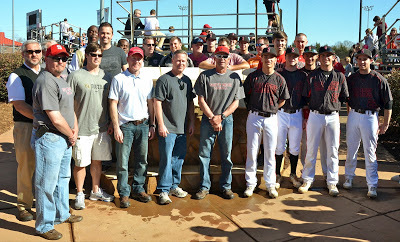 Family and friends had a great time, especially the '89 squad members with the photo opportunities with 'their' monument.